Peggy is President of Cincinnati Works, a privately-funded nonprofit that works with people in poverty to help them achieve economic self-sufficiency through employment. 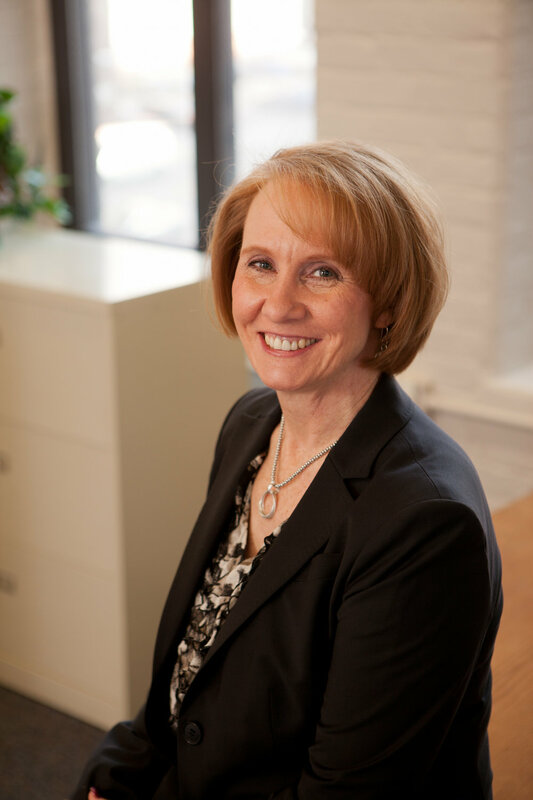 Prior to joining Cincinnati Works in 2009, she was with Andersen Consulting (now Accenture) for 14 years where she specialized in business process improvement, organizational change management, and strategic planning. She also worked with Fidelity Investments for 5 years as Vice President of Business Transformation. Peggy is a graduate of The Athenaeum of Ohio where she received her MA in Pastoral Ministry. She completed her undergraduate studies in Engineering Sciences at Dartmouth College. Throughout her corporate career and continuing today, Peggy has volunteered for numerous organizations and has served on the Board of Trustees for several nonprofits. She is currently serving on the Boards of Employers Resource Association, CSR Academy, and Leadership Council of Human Service Executives. She also serves on Advisory Boards of St. Ursula Academy and The Athenaeum of Ohio and the Ohio Community Advisory Board of JP Morgan Chase. Peggy is a native Cincinnatian. She and her husband John have three children in high-school and college.